This post is not about using the Grammar Translation method or a Contrastive Analysis approach to language teaching but some reflections on our online course preparing candidates for the Diploma in Translation Examination over the past two years. 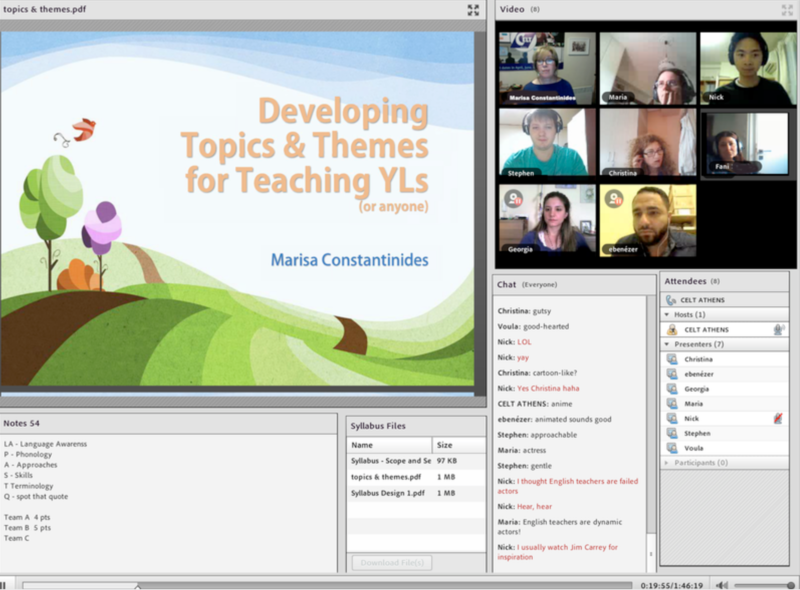 My trainees were mostly language teachers from various backgrounds and teaching contexts. Some were very experienced, others just starting their teaching careers. Some had extensive training in TEFL, others none at all. A few had already embarked on a career in translation, again with varying degrees of experience -indeed, some of them had next to none. Some had a university degree in language studies, others did not. All of them though were either bilingual or native speakers of the target language. They had all passed a rather stiff entry test and were found suitable for attending the course. While it is rather self-explanatory why a tranlator would need one of the most prestigious, globally recognized certifications in translation studies, one might ask oneself why a language teacher would need one as well. The obvious answer would be that a teacher may be interested in branching out to a different field of work, without abandoning their teaching career altogether. Having combined language teaching with translation work myself, I hardly found this surprising. There was a variety of motives among the candidates, as I soon discovered, bearing direct influence on both their eagerness to participate and their speed of progress. Of course, this was only to be expected, since motivation is always a key factor in any type of learning. Some were mostly interested in getting a professional qualification and seeking better employment conditions. Others were in it for more personal reasons: they wanted to learn something new, expand their horizons and -almost incidentally- acquire an international qualification. In this second category, I found out that people were also very much interested in the challenge. And of course, there were cases in which there was a mix of motives, although one or the other of the aforementioned trends was clearly a priority. In all cases though, motivation was highly influenced by the candidates’ expectations of the course, as well as their individual personalities. What I did find surprising was that a few of the teacher candidates stated that their primary interest was to expand their knowledge in both languages (English and Greek), one of them clearly stating that sitting the exam was not a priority at all. This was when the first seeds for this post were planted. I started to examine the various reasons why my students wished to embark on such a very challenging, time consuming course, which demanded dedication and perseverance. On the whole, I’d say that those ready for a challenge managed to keep their motivation levels quite high throughout the course. There was more fluctuation with trainees who were not quite so ready for that. In this case, they were more often frustrated with their performance and/or progress, but most of them persevered, got past the first “plateau” and continued improving their translation skills. 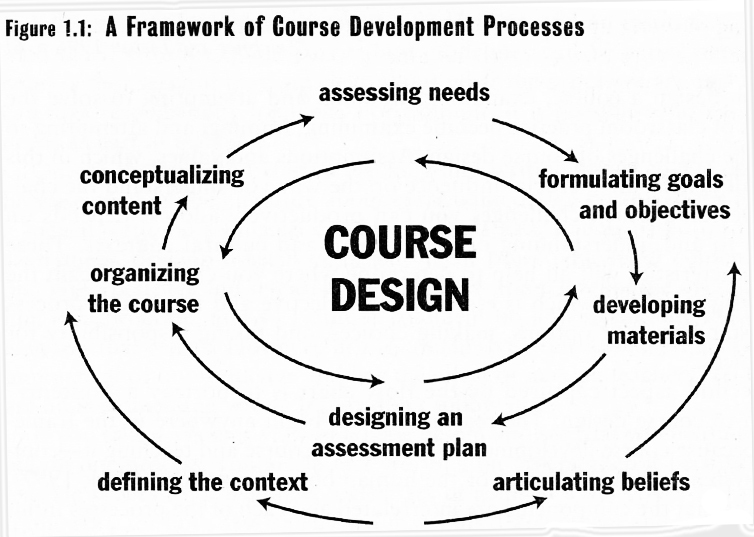 It was at this point along the course -at that first learning “plateau”, usually somewhere between the fourth and the seventh assignment- that a rather surprising factor emerged. People had difficulties when it came to expressing themselves in their native language. More often than not, it was not the comprehension of the source text that presented the most problems, but rather the accurate or faithful rendering of it in the candidates’ mother tongue. That caught several candidates unawares, creating considerable frustration in some cases, which was only overcome through a lot of hard work and sheer love of language. Just now, I spoke of love of language. To be more specific, I should say both languages: the source and the target language. But how do we measure that? It’s quite easy to say that you love this or that language or even honestly believe that you do feel that love. What interests me here though is a more tangible way of actually tabulating that feeling, if possible. It didn’t take me long to come up with the answer, especially since it was an important part of the course syllabus. The answer is very simple: how much you love reading is a fairly good indicator of how much you love language. Being a bookworm myself, I instantly recognised the “symptoms” in some of my students and, not surprisingly, these were the candidates who overcame difficulties more easily and quickly than others. By “reading” I do not mean reading only learned scientific articles or journals, or only the classics, or only materials connected with one’s field of work -although I do admit that most of the reading included in the course syllabus falls in the latter category. What I mean is reading for the love of it! Whatever your tastes are -detective stories, romantic novels, horror stories, science fiction, non fiction, fantasy or any other genre -if you regard reading as an enjoyable pastime, if you’re having fun reading your favourite type of book, then you do love language (regardless of whether you have realised this or not)! Funnily enough, I usually find it quite difficult to impress the importance of reading upon my translation students, bookworms or not. Perhaps people are too eager to get on with the actual translating part of the course that they fail to see what immense language input they can gain through reading, an input that will prove valuable not only as they progress through the course, but also at the exam itself. Perhaps most people nowadays have fallen out of the habit of reading more than a few lines in a magazine or newspaper. All this forms a huge -albeit passive- repository of language knowledge which slowly pushes its way through to the conscious part of our mind. And suddenly, or so it seems to us, we start actually using that knowledge -in our case, either by recognising a specific bit of language in the source language text or by rendering a particularly difficult bit of text in the target language faithfully and accurately, or both, quite often. 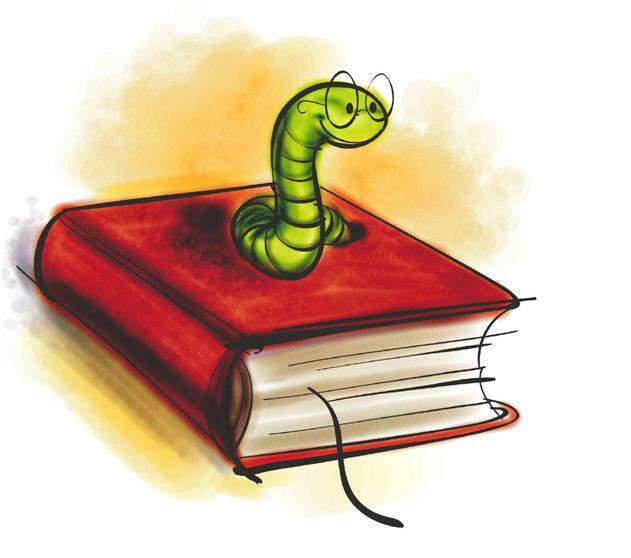 No, you don’t HAVE to be a bookworm to become a successful translator, but it sure helps! I’ve also realised that this is becoming a very long post! I think I’ll continue with specific areas of language in which translation studies help raising awareness in my next post. Alexandra Koukoumialou has been a teacher of young learners and adults for more than 15 years. She obtained her Cambridge Diploma for Overseas Teachers in 1993 and ran her own private language school for 10 years. 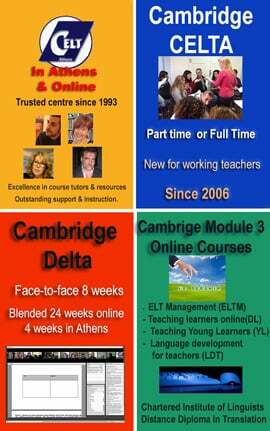 Recently, she has started collaborating with CELT Athens where she now teaches general and Business English courses and, as her blog post suggests, occasional CLIL courses! Alexandra also recently completed her Avalon Certification Course for Teaching Languages in Second Life and is responsible for the Distance Training for Translators at CELT Athens. That’s exactly what I’ve been trying to explain to my students, Maria! Your friend gave you excellent advice and, although it may seem daunting at first, reading authentic texts in the target language can help you raise your language awareness in a way that no amount of grammar and/or vocabulary practice activities can. And don’t forget: reading for fun lowers your affective filter (the subconscious block we put up when faced with the unknown) and lets you absorb much more knowledge than you actually realise! I don’t like reading, but I read the whole article and enjoyed very much! Stay tuned for Part 2 – I promise it’s going to be shorter!!! I really like your article. I am planning on majoring in translation (Arabic-English-German) this year but for some reason I’m having cold feet. I’ve got this ‘why waste 4 years on languages you could study by yourself outside of college’ and was told that it doesn’t have many job opportunities by a few people. I know that I have this passion for languages and I’ve known that its what I want to study for years but even though I believe its somewhat of a big decision and I feel a bit lost or, uncertain, to be precise. I was wondering if you’d have any sort of advice, encouragement or words of wisdom for me?